College radio has always been known as a gold mine for new local artists on the rise. Many point to the legends Stretch and Bobbito, paving the way for the college radio platform with their famous New York based Columbia University’s “The Stretch Armstrong and Bobbito Show”. During their run they introduced iconic artists to the world such as Notorious B.I.G., Wu-Tang Clan, Jay-Z and more, prior to each becoming household names. Former Radio Depaul host Adan Figueroa directly credits these past greats for influencing him to take the leap into college radio. “[College radio] legends like Stretch and Bobbito really paved the way making sure music spoke for itself. They were a huge inspiration for me and showed that it’s possible to have a dope college radio show. 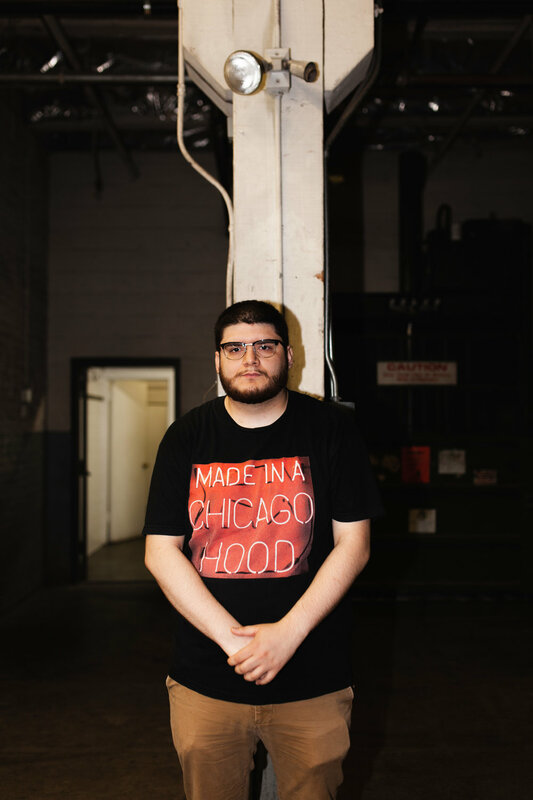 I always wanted to give back to Chicago and once I got my radio show I felt responsible to put shine on local artists with this great platform.” With this mindset, Adan pursued his radio show to continue to carry on the legacy of college radio by shining light on Chicago’s rising stars. Adan’s college radio career started his freshman year during an involvement fair, where he met the Radio Depaul board that offered him an opportunity to start his show. Ironically, the original idea for his show was not centered on hip-hop and more around the Latino music scene. “The first couple episodes were a huge learning process. The first concept of my show back then was more of a show celebrating Latino culture. 1 week it would be mostly Mexican music, then Top 40 Latino songs, then merengue music, bachata music, and last element of the show were a specific hip-hop show.” The show ended up performing on that format for 3 years until one-day he and his co-hosts were able to book well-known local artist Mick Jenkins for an interview. “At the end of my junior year, one of my friends was able to secure Mick for an interview. This was when Mick had just moved back to Chicago. He was still unknown in the city for the most part even with his Trees & Truths project that had just dropped. He was working on building up his name following the release and was just starting to do shows.” It went so well that it propelled me to gradually change the format of the show to hip-hop and pursue more interviews” As his last years of undergraduate commenced, Adan began gaining more interviews across the city from artist such as Joey Purp, Kami, Vic Spencer and more. His catalog eventually became so big he decided to fully rebrand his show when starting his graduate years at Depaul. "Seeing these artists grow before your eyes is amazing and why I pursued the show in the first place." “When my first graduate school started, I decide to continue to do Radio Depaul and pursue a full hip-hop radio show naming it The 5th Element HipHop Show. The title stood for the 5 pillars of hip-hop: graffiti, MCing, bboying, djing, and knowledge.” From there, Adan teamed up with co hosts and together they gained momentum, becoming a prominent name in College radio. With the rebrand, the internal format of the show also changed to better showcase each local artist coming in for an interview each week. “We created the new format to really showcase the local artist as a whole. 70% of show would be an interview exploring the background of the artist. Then the other 30% would be us playing only local artists music we were interviewing.” The format was a success, letting each artist’s music speak for themselves dropping insight into their musical journey. The show took off, and local guests lined up nearly every week, featuring prominent faces such Victor!, Young Chicago Authors, Dally Auston, The Boy Illinois, the whole Pivot Gang, always before receiving national recognition. “The best part of the show was seeing many artists grow and blow up to make it to bigger things, it was crazy. Seeing these artists grow before your eyes is amazing and why I pursued the show in the first place. Our show created its own sense of community and family. We always brought in good guests and I hope we were remembered for helping the culture.” Adan now has completed grad school, thus closing his college radio career with 101 shows to his name and capping off his college radio run by DePaul awarding him show of the year in 2018. The best news of all, Adan’s legacy will continue to live on as his show moves on to new hosts for the 2018/2019 year. 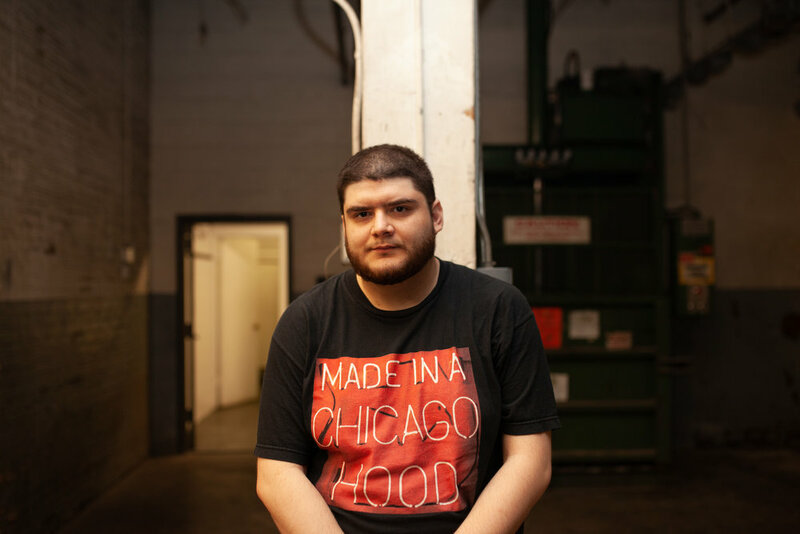 “The 5th Element is going to stay at Radio Depaul and I was able to get two young hosts to take it to the next level.” Aside from keeping tabs on the College Radio scene, Adan hopes that everybody who wants to get involved in the scene takes the leap as he did into creating some type of platform. “If you’re thinking about getting involved, just do it. It’s easy to make a podcast; there are opportunities out there for everyone. The audience is there, find your niche and market it. I just want positive things to happen for everybody and I continue to live behind Nas quote, ‘Beyond the walls of intelligence, life is defined’”. Adan may have moved on to his next chapter of life from Radio DePaul, but his influence will continue to live on for years to come in Chicago.